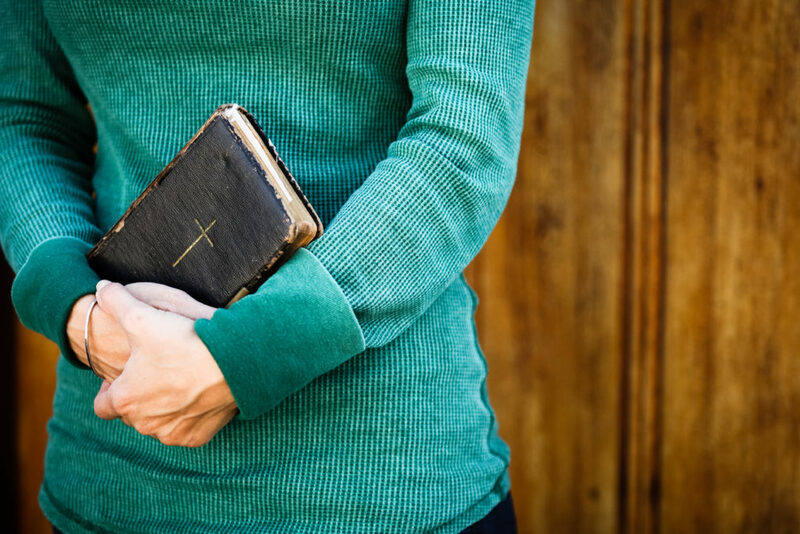 What does it mean to abide in Christ? I sometimes imagine a cozy cottage in the mountains. I’m sitting by a fireplace in one of those comfortable chairs, feet propped on an ottoman, cup of coffee close at hand. I have my bible and journal out and linger in prayer and reflection. There is a problem with this picture, though. Abide means to continue, remain, dwell. Think about that—dwell. To dwell is to live in a place. Where do you dwell? I may wish it was always autumn and I was in a cabin with a mountain view. But that just isn’t my reality. Where I live it is flat and usually pretty hot. And my house? I do have a comfortable chair but often the view includes a messy room. Not exactly the cozy picture I had imagined. But isn’t that what it is to abide in Christ? To dwell in Him where I am right now—imperfect person, imperfect circumstances, imperfect life? I live messy. But what if I live messy in Him? 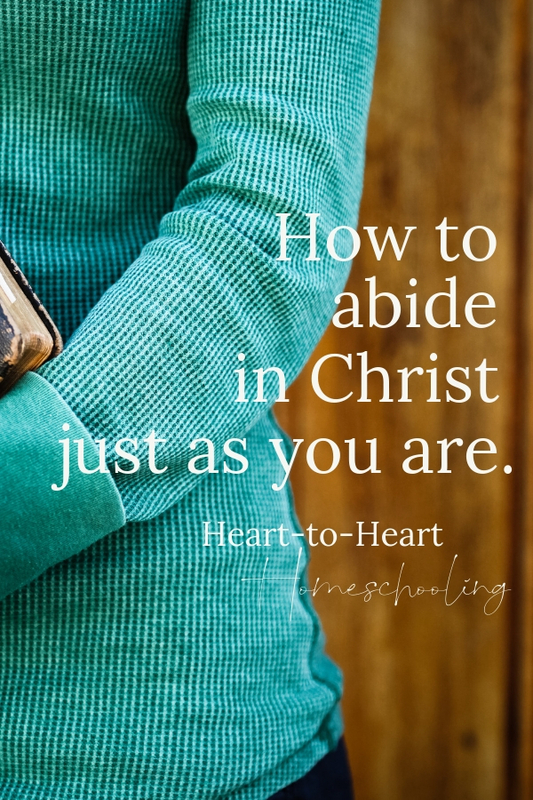 How do we abide in Christ? We tend to come up with the standard answers: spend time in His word, obey Him, pray, and fellowship with other believers. And those are all good and true. But for years I think I’ve been missing a key element to abiding. What really brings all those things together is trust. So I can choose to live messy, bonded to Him with the glue of trust. Trust that this imperfect person is covered by His grace and mercy. Trust that God is working these imperfect circumstances for His glory and my good—that I may become more like Him, a reflection of who He is. And trust that this imperfect life is a redeemed life. Because it really isn’t about me and my mess. It is about Him and how he brings beauty from ashes. It is about God and the fact that He is sovereign and good and the God over all creation. Oh, I’m so thankful for this second phrase. He continues, remains, dwells in me. I am not left alone to power through this on my own. You see, this passage on abiding is nestled in a time of sweet fellowship between Jesus and His disciples. Jesus is preparing them for the fact that He is about to leave them physically. He is about to die on the cross. And although He will rise again three days later, He won’t be with them in the same way He has been—literally walking though life with them, teaching them, encouraging them, and training them. The disciples had found the Messiah, but the kingdom they had been waiting for wasn’t going to look like they had expected it to. They didn’t know it, but each of them was about to enter a time of denial, sorrow, grief, and pain. But the Father had a plan. He has a plan. The spirit dwells with us and is in us. Let that powerful truth sink in. We are called to abide in Him, but God enables us through the Holy Spirit who abides in us. We are called to obey Him, but God enables us through the Holy Spirit who abides in us. We are supposed to live fruitful lives, but God enables us through the Holy Spirit who abides in us. We are equipped to do all that God has called us to do because the Sprit abides in us. I’ve always liked the word tension to describe this process. I have to choose to abide in Him, yet he abides in me. I make choices to abide, but it is the Holy Spirit who ultimately produces the fruit. And what is that fruit anyway? It is the fruit of the Spirit, not of me. Let’s face it, that fruit—love, joy, peace, patience, kindness, goodness, faithfulness, gentleness, self-control—doesn’t come naturally. We may have moments when love seems easy. But what about when we rub up against someone who has hurt us? We think we are patient with our children as they sit around us, reading aloud together. But what about when they are purposefully trying to annoy one another? We may have areas in our lives that we think “I’ve got this self-control thing down.” But then we open our mouths and say the wrong things. Again. We become painfully aware of our imperfections. I can’t love the one who hurt me. I can’t gently discipline my children when they misbehave. I can’t respect my husband. I can’t teach my children day after day. I can’t do the work He has called me to do. I can’t serve in my church. I can’t be the friend I need to be. I can’t even keep my mouth shut when I should. Oh the freedom and peace when we don’t have to be enough, when we don’t have to be perfect because He is. And when we really get this we are transformed by the truth of the Word. There is hope for us all. We can choose to abide, to trust Him. We can choose to thank Him for the Holy Spirit who will produce the fruit, enabling us to reflect the very character of Christ. We can submit to Him in obedience because we know who He is. Our response isn’t out of striving to be perfect but surrendering ourselves to Him. Sweet Mama, God wants you to abide in Him. He wants us to abide in Him. Yes it will be imperfect, because we are imperfect. We will continue to live in imperfect circumstance, with imperfect lives. Praise to the Perfect One who enables us to live this messy life. The entire Christian life is simply about abiding. If we are yielded to Christ, He gives us the strength to live supernaturally and do everything that we need to do. We will also shine Jesus to the people around us.